Sweet pastel yellow hair pins to tuck into your hairstyle. Great for bridesmaids, or for the bride. Swarovski's new color line, these beads have more of a matte finish than your typical pearls. 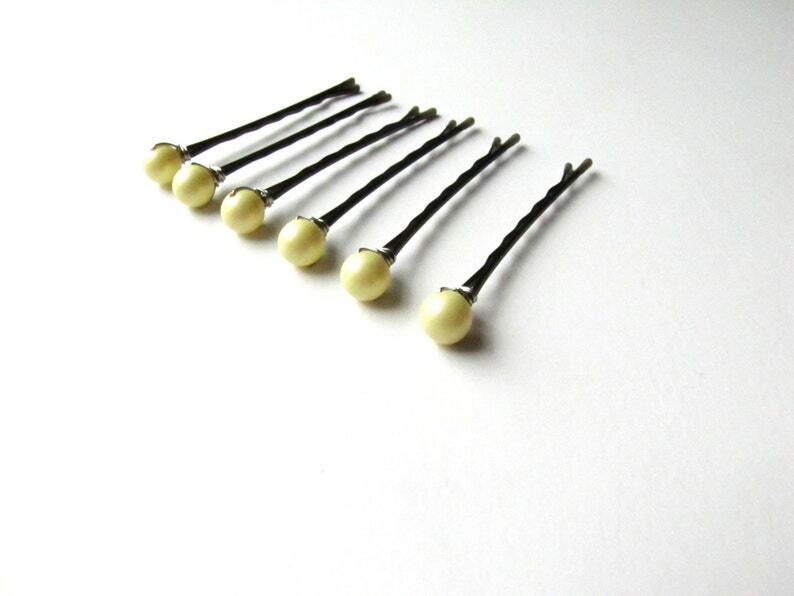 (6) hair pins with 8mm Swarovski crystal pearl beads in Pastel Yellow. ***4th photo shows other pastel colors available in my shop. Need more or a different color combination? Just ask! Also, be sure to ask about a multi order discount for your wedding party.